On December 4 and December 7, new legislation designed to impact tenant-landlord laws was introduced to the State Assembly. We're doing our best to stay on top of this rapidly evolving situation, and here are the basics. There are 2 new bills: 2015 Assembly Bill 568 (watch out - the summary at the beginning doesn't seem accurate) and 2015 Assembly Bill 583. The Assembly Committee hearing on both bills will be Thursday, December 10 at 10am in room 412E. This is the agenda for that hearing. In the past, these bills changing tenant-landlord laws have been pushed through quickly and without a thoughtful process. They've made it harder to be both a landlord and a tenant, and so we're not looking forward to the outcome of this current round of changes. Here is a summary of the impact of the current bill (subject to change as things get added and removed and the debate or discussion reveals the intent). 1. AB 583 seems to remove all limits/regulations on residential dwelling rentals. Why do we think this? Section 2 of AB 583 says that "A political subdivision may not enact or enforce an ordinance that prohibits, regulates the duration or frequency of, or unreasonably restricts the rental of a residential dwelling for 7 consecutive days or longer." 2. Eliminates written eviction notices and the process to deliver them. AB 568 seems to take out the requirement that 5- and 14- day notices from landlords to tenants be written, or follow the "manner of giving notice" rules that are in Wis. Stat. 704.21.
one year." This change in language only includes subsections 1-3 of Wis. Stat. 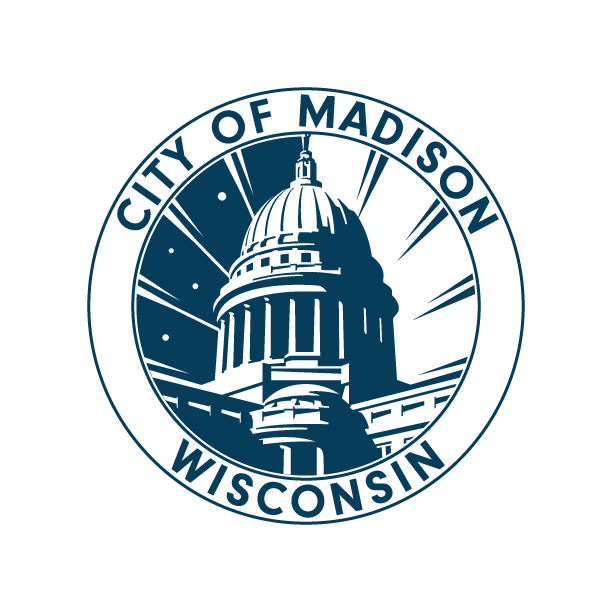 704.17, and does not include subsection 4 (which is where current law specifies that landlords have to write out 5- and 14- day notices in order evict a tenant, and have to deliver those eviction notices the way that Wis. Stat. 704.21 says). Because the bill does not include Wis. Stat. 704.17(4) on the list of things which cannot be altered by different language in the lease, we presume that if this bill were adopted into law, landlords would be able to write alternate, legally enforceable, eviction procedures into their leases going forward. 3. The bill adds new rules so that a tenant can be evicted for criminal or drug-related criminal activity under nuisance laws without police involvement. Applies to activities by a tenant, a tenant's household member, a tenant's guest, a tenant's invitee. Applies to activities on or near the rental premises. The person engaging in the criminal or drug-related activity, or disturbing the peaceful enjoyment of other tenants/landlord, can be evicted whether or not that person has been arrested/ convicted/charged with a crime. Expands current nuisance law so that landlords could evict a tenant with a 5-day notice with NO right to cure, without any communication from law enforcement, for drug manufacture and distribution, as well as drug use and possession. Why do we think this? Section 23 adds a new section (and a lot of new language) to eviction law in Wis. Stat. 704.17. "A landlord may, upon notice to the tenant, terminate the tenancy of a tenant, without giving the tenant an opportunity to remedy the default, if the tenant, a member of the tenant's household, or a guest or other invitee of the tenant ... engages in any criminal activity ... or engages in any drug-related criminal activity on or near the premises." Background information: Landlords can currently evict for criminal activity if it's a lease violation (and if the tenant is not the victim), and give an appropriate 5-day notice with a right to cure or 14-day notice with no right to cure. Current nuisance laws allow landlords to evict a tenant with a 5-day notice with NO right to cure once law enforcement has informed the landlord that the unit is the site of drug manufacture and distribution. Explanation of current Wisconsin eviction law is on our Eviction page. 4. Allows a landlord to evict a tenant with term and month-to-month leases for the 2nd breach of lease/repairs caused by the tenant within a year, even if the tenant has fixed the problem. For all breach of lease problems (which are all problems, except for non-payment of rent, where a tenant has violated the terms of a lease or damaged the property), if the tenant receives a 2nd eviction notice within the course of a year, that second notice can be given even if the tenant has cured/resolved the problem. Why do we think this? Section 22 took away language from Wis. Stat. 704.17(2)(b), a section about eviction notices, when those notices are given for a breach of lease in a term lease that is 1 year or less. The bill takes away a phrase, "prior to the tenant's remedying the waste or breach," when referring to when a landlord can give that 2nd eviction notice. This omission would allow the landlord to give that second notice within 12 months, even if the tenant had already remedied the violation. Section 21 adds language to Wis. Stat. 704.17(1)(b) that mimics what is currently in Wis. Stat. 704.17(2)(b). However, like Section 22, it excludes the phrase, "prior to the tenant's remedying the waste or breach," when referring to when a landlord can give that 2nd eviction notice. This omission would allow the landlord to give that second notice within 12 months, even if the tenant had already remedied the violation. Background information: For all term leases of a year or less (not month-to-month or periodic leases), if the tenant violates the terms of the lease (anything besides non-payment of rent), or damages the property, the landlord can give a 5-day notice with a right to cure the first time any of those things happen. The second time within that 12 months, the landlord can give a 14-day notice with NO right to cure. Currently, for month-to-month leases, only 14-day notices are allowed in order to pursue evictions in court. More about current law on our Eviction page. 5. Changes eviction notices for month-to-month tenancies so that they are the same procedure as those for term leases. Allows a landlord to evict for the 2nd breach of lease/repairs caused by the tenant within 12 months, even if the tenant has fixed the problem. Eviction notices would fall into two categories: non-payment of rent violations, and breach of lease violations. The procedure would be a 5-day notice with a right to cure for the first category's violation within 12 months, and then for the second violation within 12 months in that same category, the landlord could give a 14-day notice with no right to cure. Why do we think this? Section 21 adds a bunch of language to Wis. Stat. 704.17(1)(b) that mimics what is currently in Wis. Stat. 704.17(2)(b) (guiding initial eviction notices for term leases). However, like #2 above, it excludes the phrase, "prior to the tenant's remedying the waste or breach," when referring to when a landlord can give that 2nd eviction notice. This omission would allow the landlord to give that second notice within 12 months, even if the tenant had already remedied the violation. Background information: Explanation on the differences between a month-to-month tenancy and a term lease is here. Explanation of current Wisconsin eviction law is on our Eviction page. 6. Allows landlords to tell police tenant's guests that they are trespassing when the tenant is not "lawfully on the premises." Establishes new rules that a landlord needs to keep a trespasser's property for 7 days before disposing of it. The bill appears to allow “property owners” to make the decision about if someone is trespassing in your apartment. It also then REQUIRES law enforcement to remove the person from the dwelling if the police have a reason to arrest that person for a violation of state law. This bill changes the definition of criminal trespassing, making it about when a person "remains" on the premises, not just "enters" the premises. Why do we think this? Section 40 expands the legal definition of trespassing to include, "whoever intentionally enters or remains in the dwelling of another without the consent of some person lawfully upon the premises or, if no person is lawfully upon the premises, without the consent of the owner of the property." Section 20 establishes the same definition of a trespasser in a new section of 704, and in subsection 2 says, "If a trespasser is removed or otherwise removes from residential rental property and leaves personal property, the landlord shall hold the personal property for 7 days." Section 16 removes a police officers discretion in choosing whether to remove (which may result in an arrest) someone by saying, "Each law enforcement agency shall have a written policy regarding the investigation of complaints alleging a violation of s. 943.14. The policy shall require a law enforcement officer who has probable cause to arrest a person for a violation of s. 943.14 to remove the person from a dwelling." Why do we think this? Section 17 makes changes to Wis. Stat. 349.13 (3m) (dr) 2, allowing towing companies to charge for removal and storage of a vehicle when a towing company makes a "good faith effort" to notify law enforcement about the vehicle. 8. Pre-empts local governments from passing laws about building inspection, landlord licensing and registration, tenancy and occupancy fees, political signs, rules about sprinklers and deferred payments for municipal utilities. Most important here, building inspectors won’t be able to do scheduled inspections unless there is a tenant complaint. Why do we think this? Section 5 pre-empts local rules about inspections, section 7 pre-empts local rules about licensing and registration, section 6 pre-empt local rules about tenancy and occupancy fees, sections 9-10 pre-empt local rules about regulating political signs, sections 12-15 pre-empt local rules about sprinklers, and section 11 pre-empts local rules about deferred payments for municipal utilities. 9. Allows landlord/management companies to appoint people who are not attorneys to represent them in small claims court. Why do we think this? Section 39 adds language to current law Wis. Stat. 800.035(1). 10. Prohibits municipalities from declaring a property a landmark without owners consent. Why do we think this? Sections 3-4 changes current historic preservation laws. 11. Creates new rules about transferring property and occupancy requirements during transfer of ownership / sale of property. Why do we think this? Sections 27-38 makes changes to Wis. Stat. 706.22. Just so you know: We are not attorneys! Which means we can't interpret laws or give legal advice. We cannot speak to legislative intent, and can only look at the words written in these bills. This is a rapidly changing situation - components may be added to or subtracted from this bill faster than our blog gets updated.